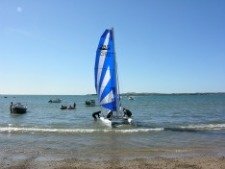 Experience beautiful Anglesey, the island for all seasons off the North Wales coast. A holiday on the island offers you a number of unforgettable attractions. With Anglesey coastal path covering over 125 miles of beautiful coastline, our island is the jewel in the crown of Wales. And our island has the title “Area of Outstanding Natural Beauty”, awarded in 1967 in recognition of its importance to the nation. So, if you love nature, prepare your senses for some spectacular sea views and an excellent coastal path. Climb Holyhead Mountain and see Ireland over the horizon. Watch the Holyhead to Dublin ferry plough its single furrow westward. Relax. Forget all your worries and stress. Come and see the many magnificent historic and wildlife sites. Step back in time and discover the fine and impressive castle built by Edward I at Beaumaris and the rich history surrounding the town. To the west is the town of Holyhead, now a bustling port and major transport link with Ireland but once a sleepy fishing village. Two thousand years ago Holyhead was occupied by the Romans, who left an impressive fortress overlooking the now busy harbour. You can visit this Roman fort and the historic St Cybi’s church built within the fortress wall. Named after the Celtic saint, Cybi (originally Cebius), many visitors from all over the world visit this church which contains a colourful history. 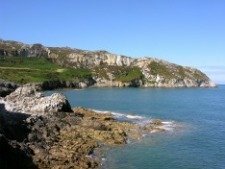 To the north of the island, why not take a look at the historic old port town of Amlwch and the nearby Parys copper mountain, site of old Roman copper works. Be the perfect explorer. Take a bicycle and discover interesting hidden attractions along our peaceful country lanes. Near the centre of the island is Llyn Alaw (Lake) where you can try your hand at fly fishing. We’ve seen some big catches here, including rainbow trout! Smell the fragrance of wild flowers, see their vivid colours. Listen out for the sounds of nature. Off South Stack prepare yourself for a riot of sea pinks and yellow wild gorse carpeting the cliff tops. Watch out for and hear the puffins, cormorants, guillemots and other seabirds as they busy themselves off the cliffs. Anglesey has a good choice of quality hotels, guesthouses and self-catering accommodation to make your holiday a comfortable one. So come along and enjoy breathtaking scenery during your stay. As we are updating the site regularly, do check out for the latest news at WHAT'S NEW on the top left-hand menu. You can subscribe to our FREE monthly newsletter, Anglesey Today. This is one of the best ways for you to keep up with the latest news on what's happening on the island. Hopefully, we will see you here sometime soon! Information on Wylfa Magnox Nuclear Power Station on Anglesey, Wales. Explains how nuclear energy from Wylfa is made and meets our electricity needs. A rich selection of attractions on the beautiful isle of Anglesey. Interesting, historic sites and exciting natural landscapes and sea views. Find a lovely Anglesey beach to make your vacation a memorable one. Long sandy beaches or small coves, rock pools and lagoons, and for all seasons. 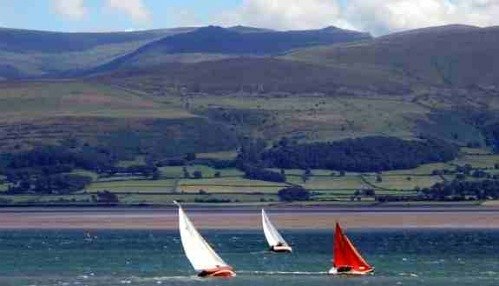 History of Anglesey and the sea. Find out how this beautiful coastline witnessed dramatic invasions, amazing sea rescues, and the birth of new industries. 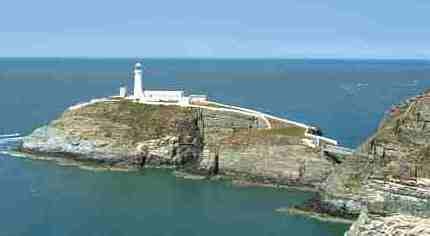 Learn about Anglesey Lighthouses operated by Trinity House. History of this distinguished Corporation together with information about the beautiful Anglesey coastline. 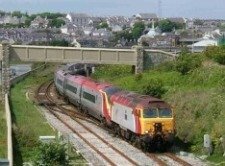 Information on rail travel to Anglesey for international and UK based visitors. Also FAQ’s on travelling options including Ireland, rail passes and point to point tickets. Review your air travel options when planning your UK visit. Various options for reaching our beautiful island of Anglesey from the airport of your choice. Energy sources on Anglesey. Debate on the looming crisis as we have to look at all types of energy to secure our future needs. Latest on Wylfa Magnox Nuclear Power Station on Anglesey. 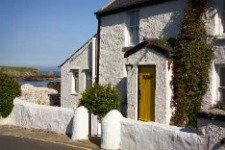 Find your perfect accommodation before you visit the beautiful island of Anglesey. Select Hotels, guesthouses, farmhouses and holiday cottages. 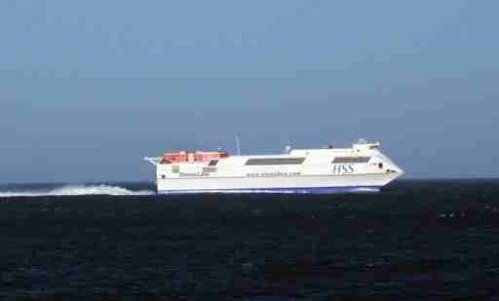 The fast ferry to Dun Laoghaire from Holyhead gets you to Ireland in 99 minutes. 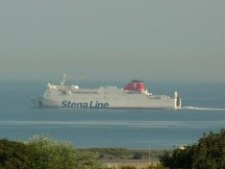 The Stenaline HSS carries cars and foot passengers. A fast train, DART, gets you into Dublin in 20 minutes.